Lots of us lose the keys to their vehicle every day. Getting a car key replaced in Phoenix is actually a really easy task. Our car key specialists here at AZ Car Keys have become the most highly skilled Nissan key specialized pros in Phoenix AZ. Nissan is, without doubt, one of the finest car brands that are currently available in the market. This carmaker is highly renowned for its ongoing efforts to introduce beneficial and unique features and specifications in all the models they manufacture. 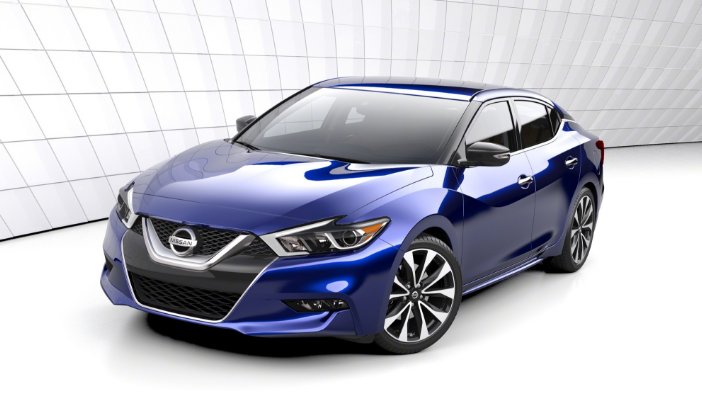 As with most reputable car brands, optimal security is always a central focus in all modern Nissan vehicles. One way this automaker distinctly stands out from the rest of the pack is the various car key options they provide for their clients. To which end, below is a review of the types of Nissan car keys which you can settle for. Without further ado, let us get directly to it. To begin with, there are the standard Nissan car keys, which are in fact very identical to virtually all other leading car brands. Essentially, this varieties are mechanical keys that when inserted in the ignition system, work by unlocking the vehicle’s steering locking system. This enables the driver to manipulate the steering wheel at ease. These kinds of Nissan car keys can also be used to manually lock and unlock the car’s doors and trunk latch. 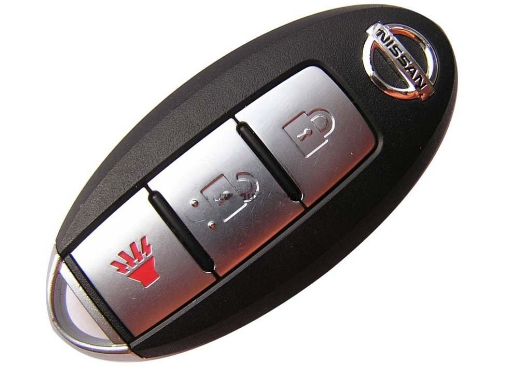 The Nissan transponder car key types, at face value very similar to the standard varieties. The only main difference is the fact that these ones come with a tiny electronically coded transponder chip embedded on them. This chip is usually found within the plastic shell of the key. As such, this given Nissan chip is passive in nature, and does not need a battery for it to carry out its function. When you attempt to turn the key in the ignition system, the chip becomes a part of an electrical circuit, and relays a code which is then authenticated and the engine can start. On the other hand, if the transponder chip is broken or missing on the key, the car’s engine will not start. Additionally, Nissan immobilizer control unit will then be activated. Should you obtain a replacement key, your key expert will need to re-programme this immobilizer control unit for the key work as expected. All these precautionary measures make sure that a Nissan transponder car key system can thwart any theft attempt. Finally, all modern Nissan car models come fitted with what is known as a remote start keyless entry system. Generally speaking, this ingenious system is controlled by a diminutive palm-sized device , which is in a position of controlling various components of vehicle. Apart from locking and unlocking the vehicle’s doors, this remote start device can also execute some other tasks. This includes remotely starting the Nissan vehicle’s engine, pop open the car’s trunk latch. Arm or disarm the vehicle’s security system and activate or deactivate the car’s panic system, while also controlling the vehicle’s power windows. Basically, this remote start keyless entry system carries its functions in a remarkably straightforward as well as simple manner. Inside the plastic shell of the palm-sized remote device, you will find a small circuit board that comes fitted with a radio transmitter and a control chip. The moment you depress the button, which locks and unlocks your Nissan vehicle’s doors, the following will take place. First the radio transmitter will relay a code and command to a radio receiver found within the car itself. Should the transmission that was relayed be the exact code, which is stored in the radio receiver’s memory, the car’s doors will be automatically locked or unlocked. The benefits of the Nissan remote start keyless entry are quite naturally numerous. First it provides a high level of convenience to the driver of a Nissan vehicle fitted with it . Who instead of having of having to dig into his or her purse or pocket to manually unlock or lock, will simply just have to hit the right button on the fob key. Secondly, this one of a kind keyless entry system comes with a panic button, which can greatly enhance the personal safety of driver of a Nissan car that is fitted with it. When this particular button is depressed, the car’s alarm system will be activated, which then makes the horn honk and the lights to flash. This can go a long way in preventing any carjacker from attempting to force their way into the car. In the case of an assault on the driver, this panic button can then attract the attention of passersby, who will be able to lend some assistance to driver. Call AZ Car Keys Today For Nissan Car Key Replacement! No more dealerships for me! Let me start this review out with I LOVE THESE GUYS! I'm usually waiting hours and hours if not days when taking my Nissan to the dealership with a problem like this, but for now on when I misplace my key, I'm calling these guys. Prompt and reasonably priced. Thank you guys SO much!